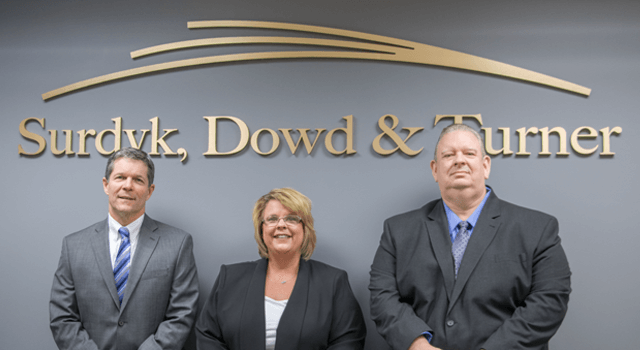 Surdyk, Dowd & Turner provides quality legal services at reasonable costs to individuals, businesses, and government agencies. Since our founding in 1976, we have delivered to our clients cost-effective legal results on a timely basis. 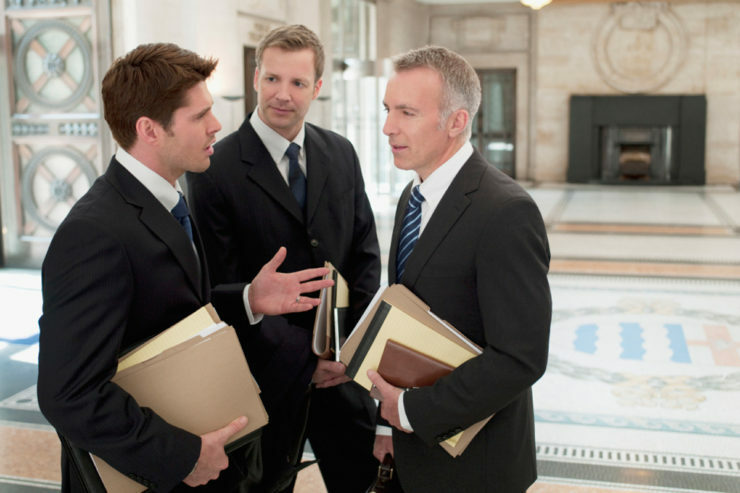 Our attorneys have superior legal skills and years of successful, relevant experience. Please contact us today to discuss your legal needs. Incorporated as a legal professional association in February, 1976; we have strived to provide quality legal services at a reasonable cost to individuals, businesses, and government agencies, including insurance companies, manufacturers, providers of professional services, joint self-insurance pools, and other attorneys. Our mission is to provide cost effective legal results on a timely basis by responsive professionals who have superior legal skills and experience. We believe that our communities are stronger when we are an active part of them. Locally, our attorneys and staff members volunteer their time with numerous organizations. Professionally, our attorneys are members of various legal trade organizations to ensure that we are up to date on legal matters happening throughout our country. 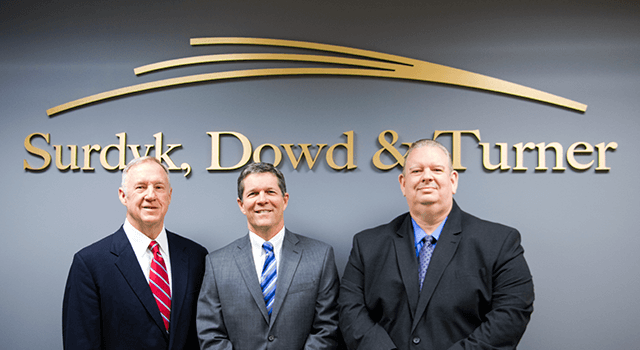 Surdyk Dowd & Turner Co. L.P.A.